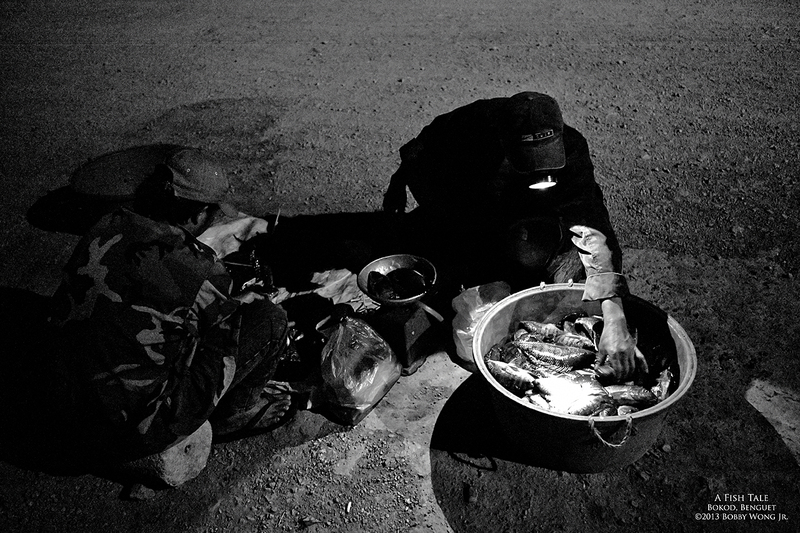 We arrived in the dead of the night on Ambuklao Dam in Bokod Benguet. I wondered what the fuss was all about getting here before sunrise as there wasn't another soul in sight. And then they started to arrive. Fishermen magically appeared, hauling crates of fish from boats along the water. Fish vendors arrived in small groups, tying groups of fish together and spreading them onto makeshift displays on the ground. Soon the road is filled with vendors, their fish, and customers. It's a whole ecosystem that provide vital protein in this community's diet. And I thought they only grew vegetables in Benguet. Enjoy.